What to Fix If You’re Selling Your Home! When you’re selling your home, it’s always a task to set a budget for a renovation but if you’re planning to put your home on the market, you’ll have a different set of calculations than a new homeowner. Before you begin to gut your kitchen, consult with a real estate professional and a general contractor about which renovations will yield the biggest return on investment. How much work you’ll need depends on your home’s value, the current real estate market and the comparable homes in your neighborhood. Replacing or refinishing your flooring and painting the walls are the quickest and least expensive ways to give a house a face lift. With these enhancements, you can expect roughly a 15% uptick in asking price. Paint color matters. Shades of gray are in with buyers right now: stay away from tan and beige hues. While you can certainly go the DIY route with paint, hiring a professional will get the best results. Expect to spend $2,000 to $3,000 for whole-house interior painting. Replacing your existing front door with a new steel door with net you a 101.8% return on resale for a minimal replacement cost of about $1,230. It’s the first and last thing the buyer will touch on their home visit and it makes an impression. Installing a new garage door has an impact on buyers. It offers an 88% return at resale and costs an average of about $1,600 to replace. Adding a new roof and replacing your home’s unsightly vinyl siding will also yield a high return on investment. Homeowners recoup 72% to 80% of the cost, respectively, for those upgrades. 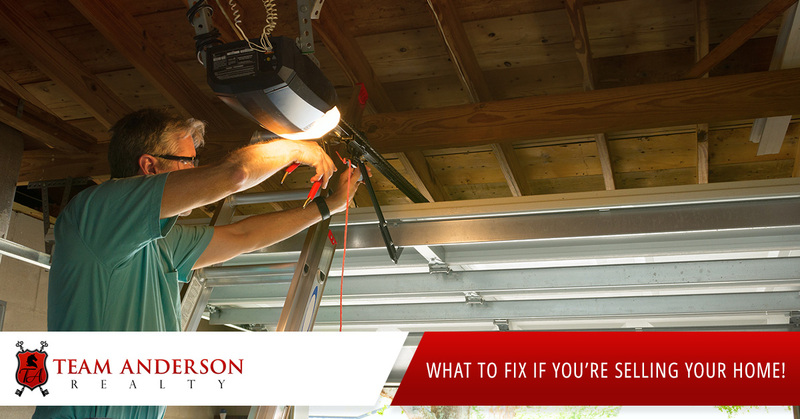 Another benefit, when it comes time for inspection and appraisal, having those repairs done will not only increase the value of your home but also reduce the likelihood of being forced to make fixes or adjust pricing later in the process. A modern kitchen is a top draw for buyers – but don’t try to overhaul a dated one, which could cost a lot of money. Buying new cabinet drawer pulls, painting or re-facing old cabinets (white is in right now), and installing sleek light fixtures are all low-cost upgrades that will make your kitchen sparkle. New appliances, which can run about $10,000 for a whole kitchen replacement, are an easy way to add value. While the upfront cost might be hard to swallow, new stainless appliances make your kitchen more attractive to a wider range of buyers. Granite or quartz countertops are also hot, but they can be pricey, depending on your kitchen layout. You should get bids from professional remodelers to figure out how much new countertops will cost – and if it fits your budget and time frame for selling your home. A less pricey alternative is adding a clean, white ceramic tile backsplash to create visual appeal. Thinking about finishing an attic or basement? Adding a deck? Those upgrades tend to be pricey and buyers will likely prefer to remodel those areas to their own tastes. Other areas to avoid doing a major renovation: bathrooms, bedrooms and home offices. If you are thinking of selling your home, give Erica a call at 919-610-5126 to discuss our unique marketing strategy that will get your home sold in today’s real estate market! If you, or someone you know is looking to buy a home in the Holly Springs or Triangle Area in North Carolina, call Team Anderson Realty today to find out how our team can help you with all of your real estate needs or visit our website to start your free home search today!